Case Study What Glidecoat Can Do For a New Boat! Prior to last years Miami Boat Show, we were approached by Pocket Yacht Company, who are dealers for Ranger Tugs and Cutwater Boats. 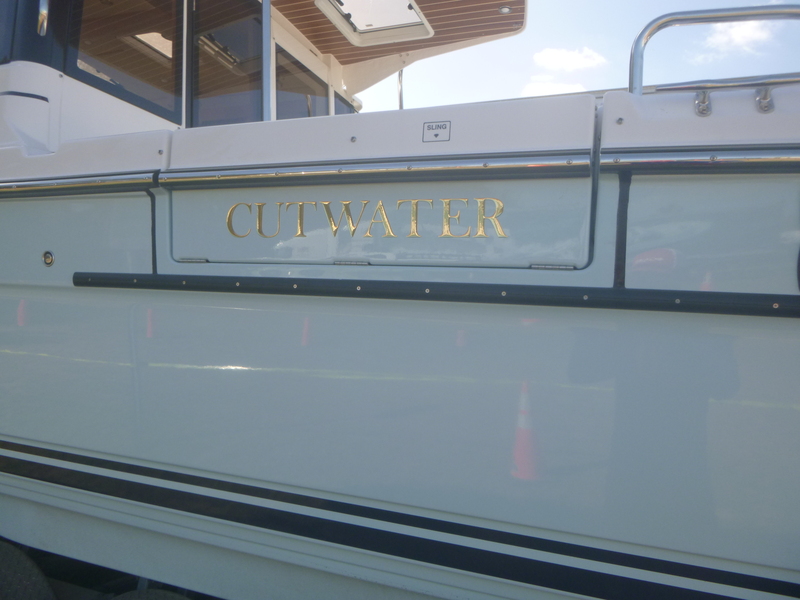 They wanted to apply Glidecoat ceramic coating to a brand new 2017 Cutwater before displaying the boat in the boat show. Many people believe that ceramic coatings are only a solution for older boats, in order to restore the gloss and shine of the gel coat. This is certainly not the case. It is one of the best decisions you could make after purchasing a new boat. Applying Glidecoat Liquid Crystal to a brand new or newer boat helps fortify the gel coat, sealing the pores before the sun and salt begins to deteriorate the surface. 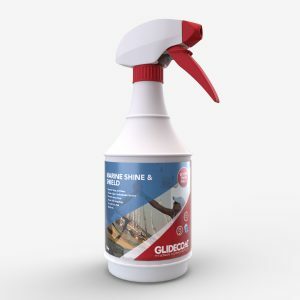 In addition, Glidecoat will also increase the gloss and shine of even a brand new boat by 15%! Although the boat had been shrink wrapped for its cross-country trip it still needed a good wash prior to coating. 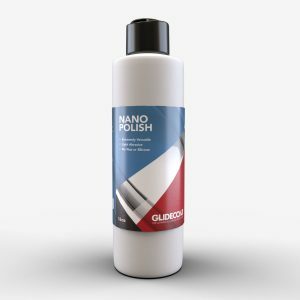 With that, we used Glidecoat’s Nano Wash to first wash the hull. 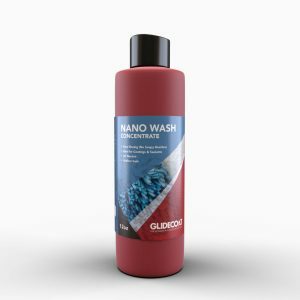 The soap has minimal abrasives, yet a high foam content which helps to remove dirt and grim on the boat’s gel coat. 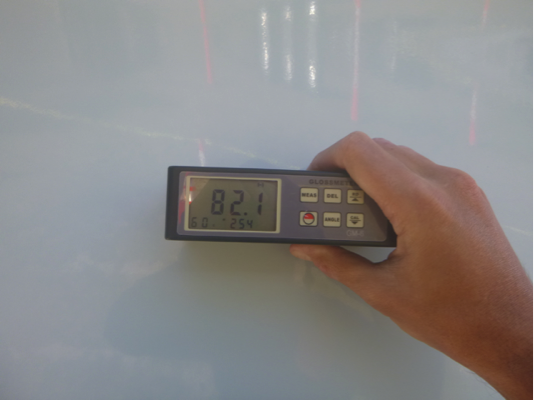 Prior to coating the boat, but after washing and applying decontaminate we used a 60 Degree Gloss Meter to take readings of the hull. The average reading was 82, which is in line for new gel coat, which typically is 82-85. Coating the hull took about 1 hour, and after completion of the first coat a second coat was applied. 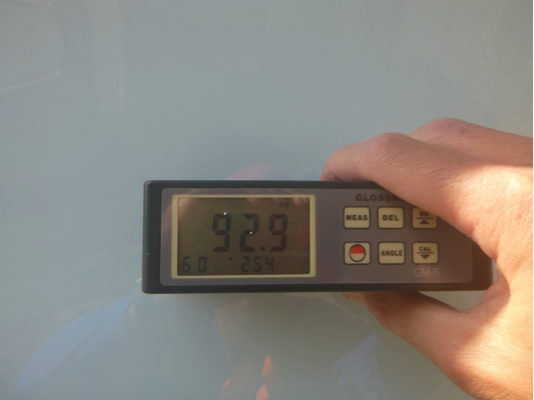 Gloss meter reading of brand new gel coat before the Glidecoat Application process. After curing 24 hours, we tested the surface with the Gloss Meter and the average reading was 92.9 improving the gloss and shine by more than 15% from factory new. 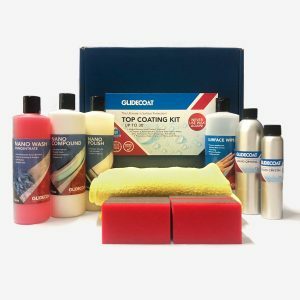 Given the coating lasts 18 months here in South Florida and the product does not need to be removed but can be applied over top, protecting the boat makes good financial sense. 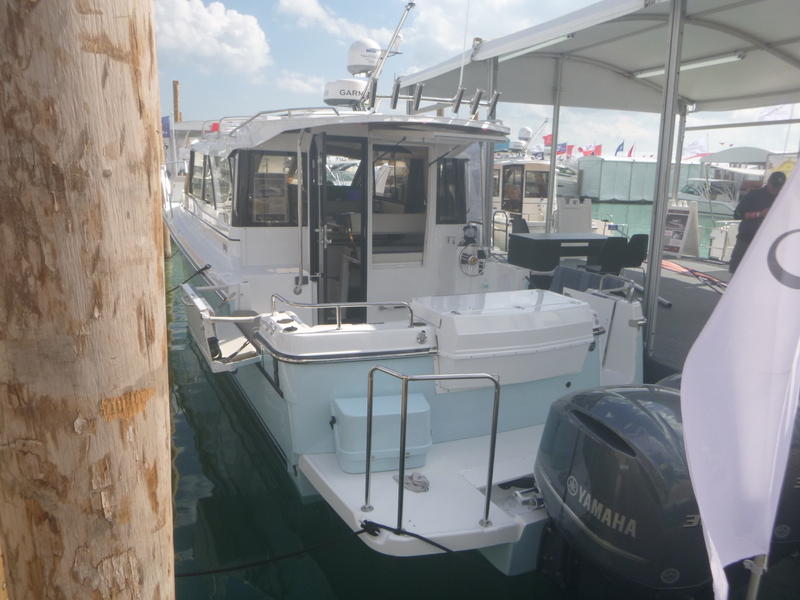 The boat looked so good after the Glidecoat application, the boat sold during the Boat Show.